Our Tunnel Chute Showdown Sale ends today! 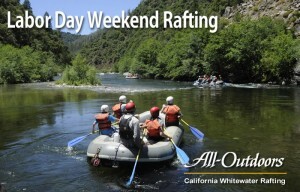 Book by Labor Day (that’s today, folks) and save 20% on any Middle Fork American Rafting trip. A one day trip–or heck, a multi-day mini vacation for you and that special someone or the whole dang family–literally every Middle Fork trip from now until the end of September qualifies. The only hitch is you gotta act soon because the sale ends today and our office closes at 2pm in honor of the holiday.